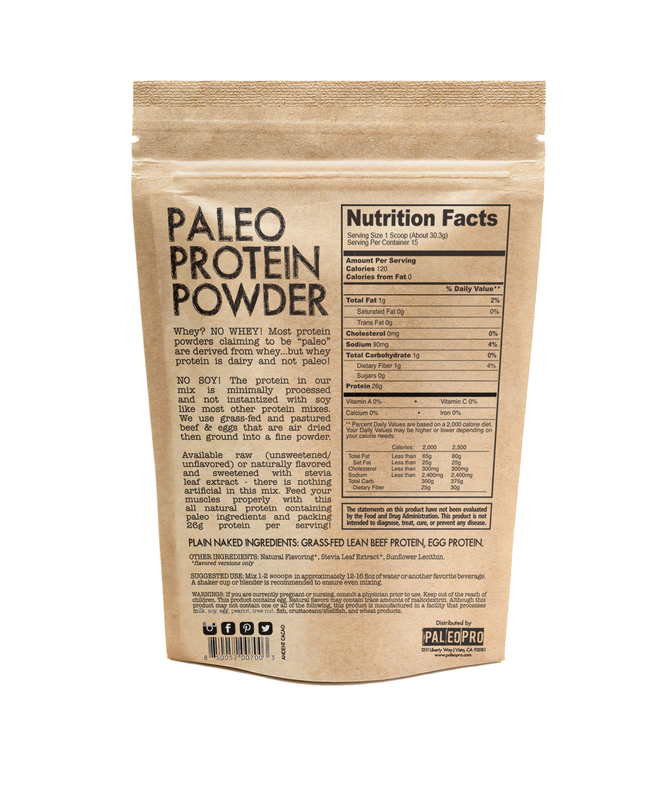 26g of protein per serving. no dairy or whey or soy. Whey? NO WHEY! 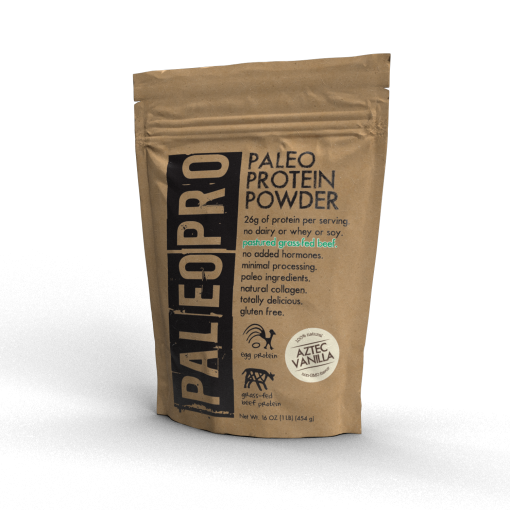 Most paleo protein powder products claiming to be “paleo” are derived from whey… but whey protein is dairy and not paleo! NO SOY! 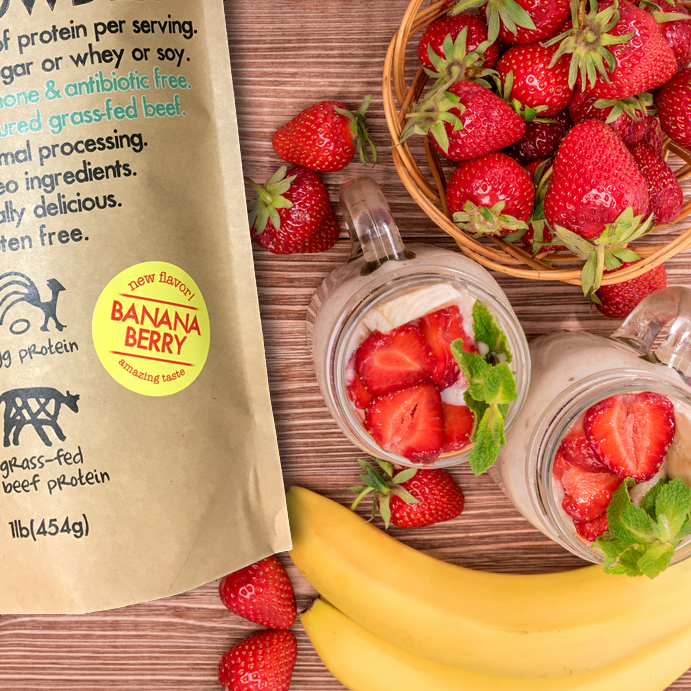 The protein in our mix is minimally processed and not instantized with soy like most other protein mixes. 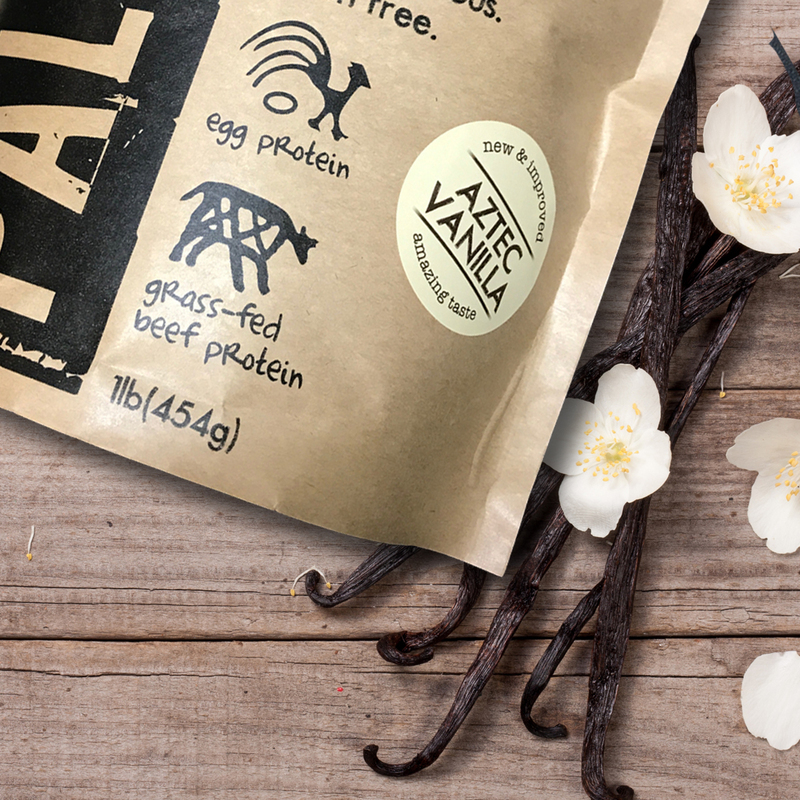 We use Grass-Fed and Pastured Beef & Eggs that are air dried then ground into a fine powder. Available unsweetened and unflavored or naturally flavored and sweetened with monk fruit extract – there is nothing artificial in this mix. Feed your muscles properly with this all natural protein featuring paleo ingredients and packing 26g protein per serving! Suggested Use: Mix 1 scoop in approximately 12-16 fl oz of water or another favorite beverage. A shaker cup or blender is recommended to ensure even mixing. 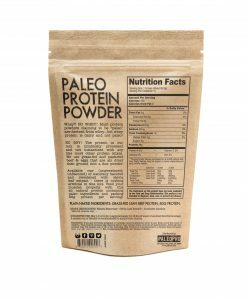 this is great protein powder! 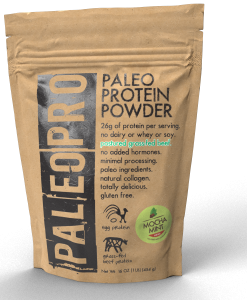 I think it taste better than other protein powders personally and I like that the ingredients are simple. 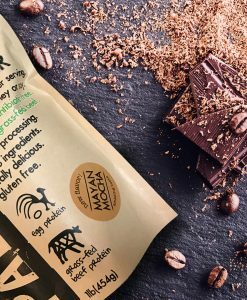 Just a little pricey… But paying for quality ingredients thats I can read and not stuff i can’t pronounce is fine with me! 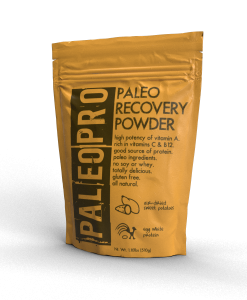 Did some research and learned that this is the most Paleo powder on the market. Decided to give it a try and I’ve been hooked ever since! It mixes really well and it’s easy to drink, only thing is that it gets a little foamy but it’s not bad at all! Went to Crossfit games and found out about these guys. 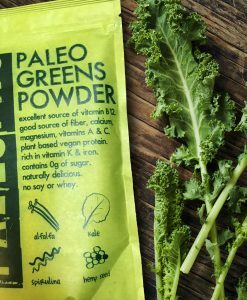 They let me try a sample of the Paleo Greens powder and it was delicious but I bought the Aztec Vanilla version of this. super tasty, almost a bit like caramel – I use a blender to mix and add raspberries! I love this stuff so much. 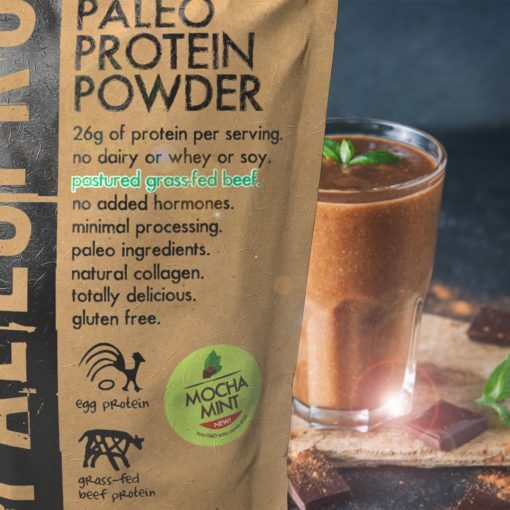 It tastes amazing and I don’t have to feel guilty about using it like I have with all the other protein powders I’ve tried, which most of them are loaded with junk. I bought the Chocolate and I blend it with frozen bananas and almond milk. So good! 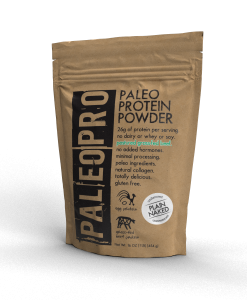 After researching protein powders for a Paleo lifestyle, I was thrilled to find this product. 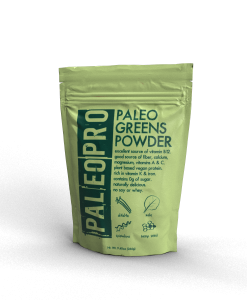 The ingredients and processed used to make the Paleo Pro powder totally blew the competition away! I purchased the Plain Naked version to add to my morning green smoothies. It arrived super-fast and was even better than I expected! It may cost a little more than other, inferior versions, but, considering the amazing quality, it is absolutely worth it! It smells a little weird but don’t let that deter you. 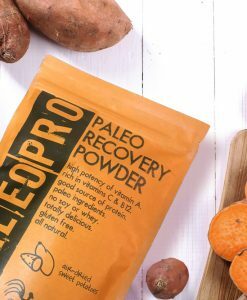 I like to use this in my paleo pumpkin smoothie. 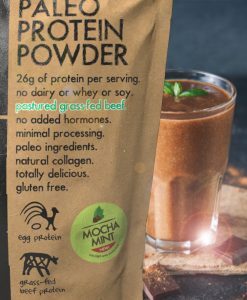 I love that I can have some protein in this shake and don’t have to worry about cooking up a protein to eat on the side. This stuff is good. Really good. Got a shaker bottle and when I’m on the road (min every other week) I can choke down a glass of this and it kills hunger until well past lunch. Taste is very decent. I’ll buy more. Great for keeping the pounds off when you’re traveling. 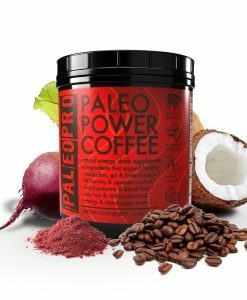 Have been using this product in smoothies each morning for eight months. Because the vanilla was too sweet, I use half vanilla and half plain (Naked), along with kefir and fresh fruit. With this and a Paleo lifestyle, I’ve dropped 21 lbs. in those eight months! No complaints from me! Probably the best customers service EVER! My package came damaged (not their fault) – they sent me two new bags! Great taste, amazing quality and worth every penny. 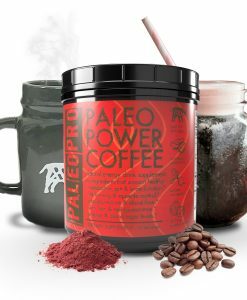 It is rare I like Chocolate protein powder, and mixed with a bit of coffee – amazing. 10 stars! 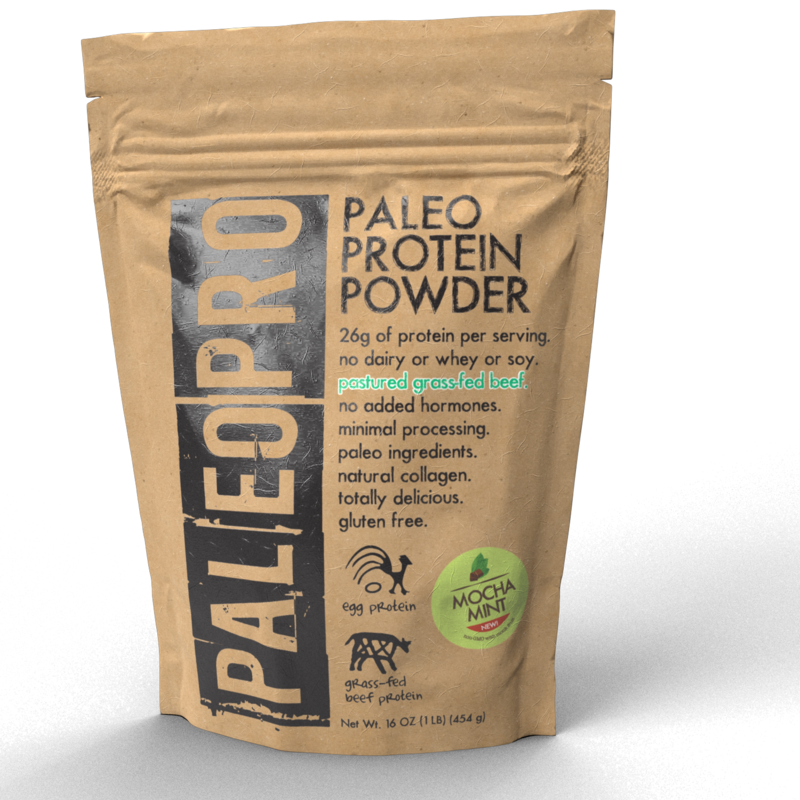 I love that there’s a natural protein powder. I wish it wasn’t as sweet as it is but besides that great product! Excellent morning shake before exercise. Easily mixes with other ingredients and no taste I can find. Highly recommend. 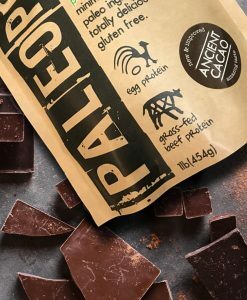 Love the low carb, high protein! 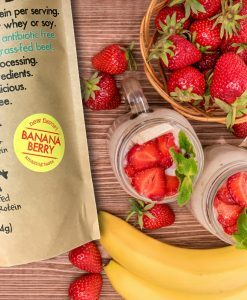 I love this product and add it to my smoothie every morning. It adds a rich, creamy taste and texture, unlike my previous plant-based protein. While the Paleo diet doesn’t advocate for powders, bars, etc., it beats skipping breakfast or any other meal throughout the day. If only they offered a bulk discount. 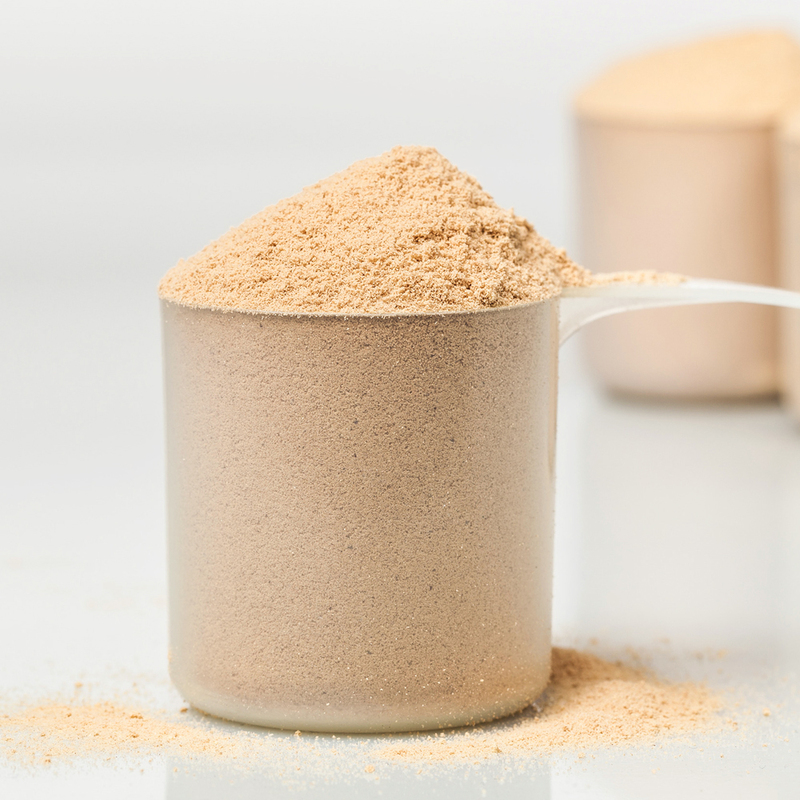 The BEST protein powder on the market! After trying several different proteins on the market and having adverse reactions to whey and plant based powders, Paleo Pro came to my rescue! 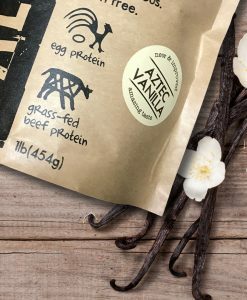 Not only is this one of the simplest and cleanest proteins available on the market, it tastes great and doesn’t cause all the nasty digestive issues many other proteins do. I highly recommend this protein to anyone that is looking for a high quality supplement! It’s definitely worth the price! This is yummy and keeps me full for my busy mornings. I’ve already purchased more! This is the best protein powder I have ever used. It does not have that chalky aftertaste of others I have tried. Blends well in everything and keeps you full, and I love that nothing in it is artificial. 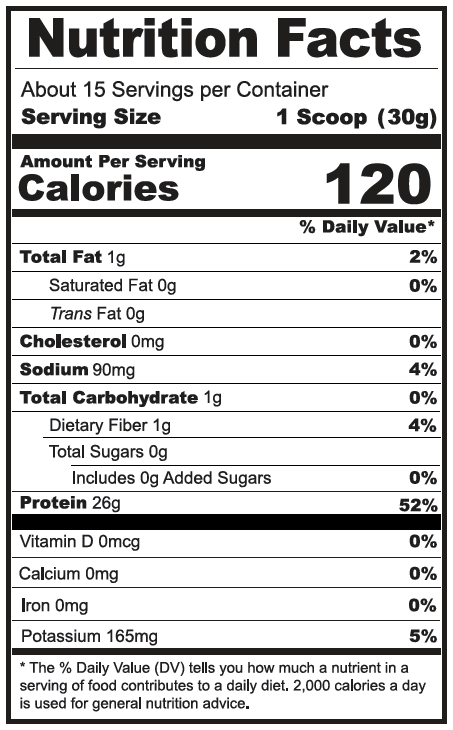 I would have given it 5 stars, but I do think the price is high, especially since it only has 15 servings. I use this everyday, so it costs a lot for a month supply. Great results, healthy. 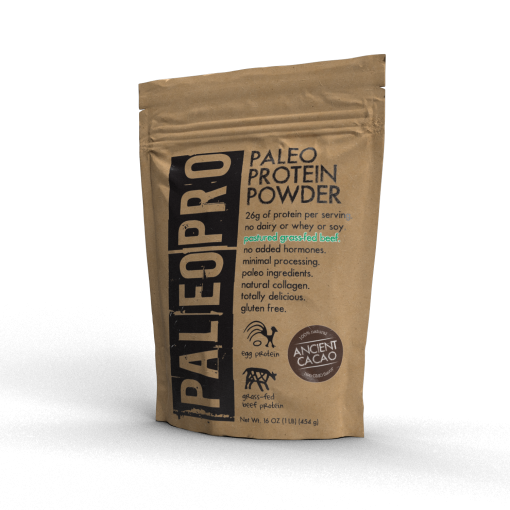 I’ve researched and use many protein supplements and this is simply the best. I use a personal blender with ice, water, 1 scoop, some cold brew coffee concentrate plus some stevia. 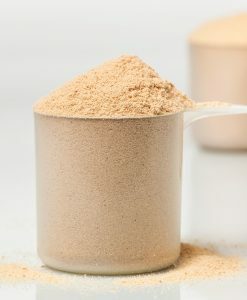 I’m sensitive to most whey proteins and find vegetable protein too gritty or too low in protein per serving. I absolutely love both the chocolate and vanilla flavors of paleo protein and love the fact that I get 30g of protein per serving. Tastes super good! Has a coffee flavor to it. The product I tried this morning, I admit it tasted really good. I have had other product before that left my mouth in disgust with grit and no flavor, but that was not the case this morning. Has a great vanilla flavor. 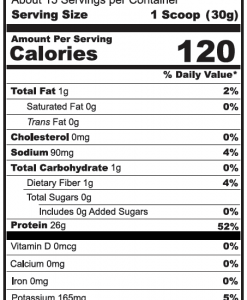 I like that it has a high amount of protein, too. I recommend. I’ve utilized many types of protein and this is by far my favorite. Absolutely amazing product. 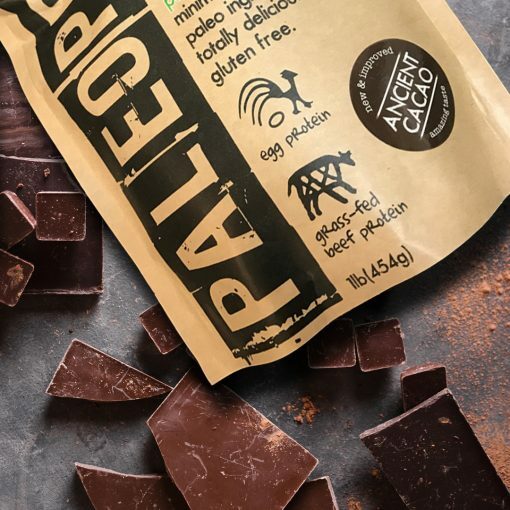 I first found PaleoPro at my local Whole Foods and I fell in love with it. The best part about the product is you can read the ingredients, know what is in it and feel great about putting it into your body. A product worth spreading and promoting to your family and friends in the health and fitness world! 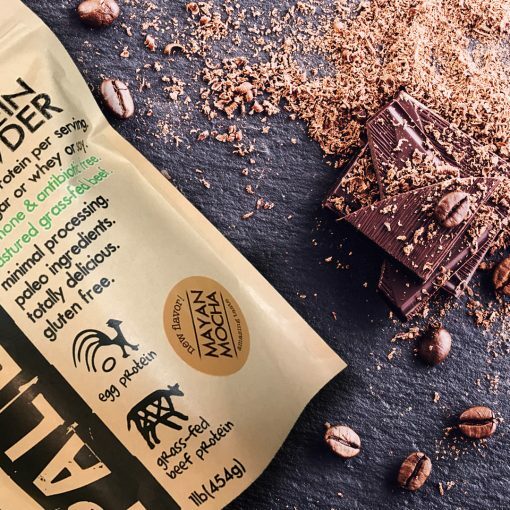 FINALLY a protein powder that has minimal ingredients and tastes DELICIOUS! 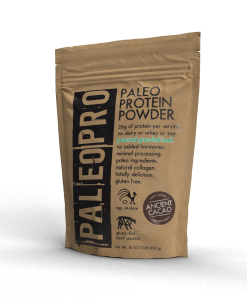 I have many food allergies and sensitivities including soy, dairy, and stevia so this protein powder is a perfect fit for me. I like the sweetness of the monk fruit and the flavors are amazing. Please don’t ever change it! !